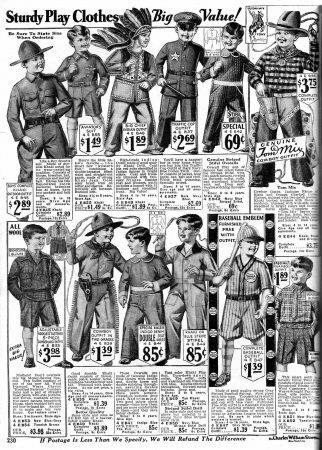 Here’s a charming page from a late-1920s Charles Williams catalog – a time when boys could legitimately go off to play wearing a costume and not get beaten to a pulp by the other neighborhood kids. 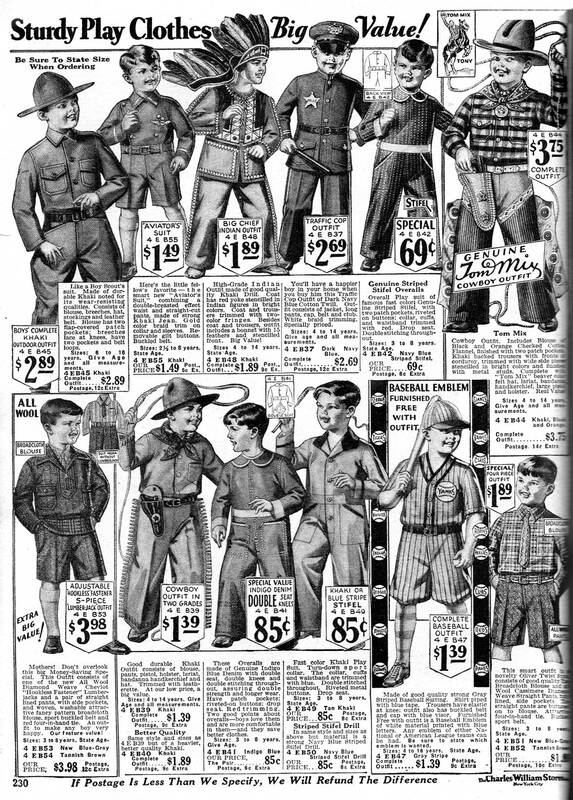 You can leaf the through the catalog but you won’t find a matching page for girls. This was the 1920s, and aspirational careers for young girls hadn’t been invented yet. Girls – girls had dolls. Girls could only stand around and wait for Tom Mix to rescue them from the Indian Chief or a dastardly lumberjack.